We begin this style again with a feather braid, and then finish with a lace braid, just as we did last time… only we are crossing the feathered strands to give a lattice look in the braid. You can adjust the lengths of the X’s simply by creating the bottom lace braid either higher or lower. 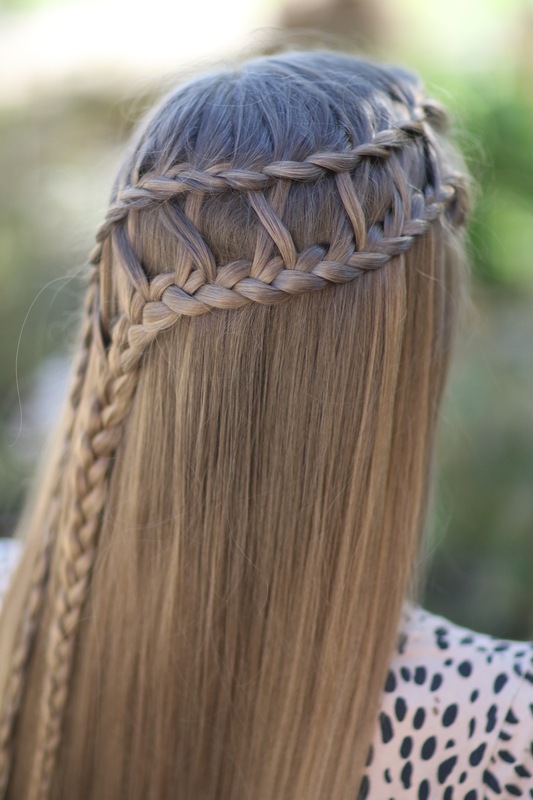 As is common on all Waterfall Braids, this isn’t a hairstyle that we recommend for an active day, such as sports, dance, etc. It is perfect for any other occasion, dressed up or down. Pick up a small section of hair at the top/front of the head. Finish with a regular 3 strand braid to the end of the length of hair. Secure with an elastic. Go back to the front and lift up the feather pieces and give a little spritz of Spray Wax. This will help separate and give texture from the rest of the hair. Flip the feather strands and over the top and out of the way of new braid. Pick up another small section of hair just below the start of your first braid. Divide into three sections starting a lace braid pick up new pieces only on the top or left side. The lattice detail can be explained better by watching the tutorial. 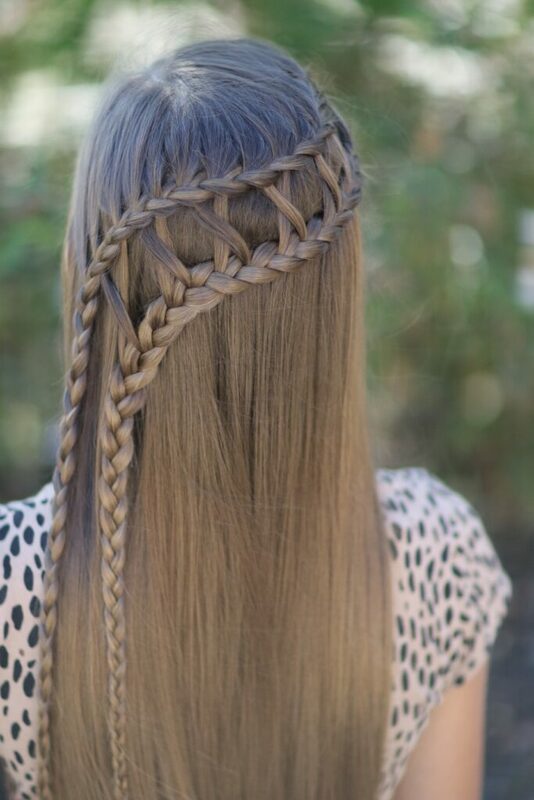 Essentially you are braiding and crossing the feather strands to create the Lattice effect. Finish braid #2 in a regular 3 strand braid and secure with an elastic. 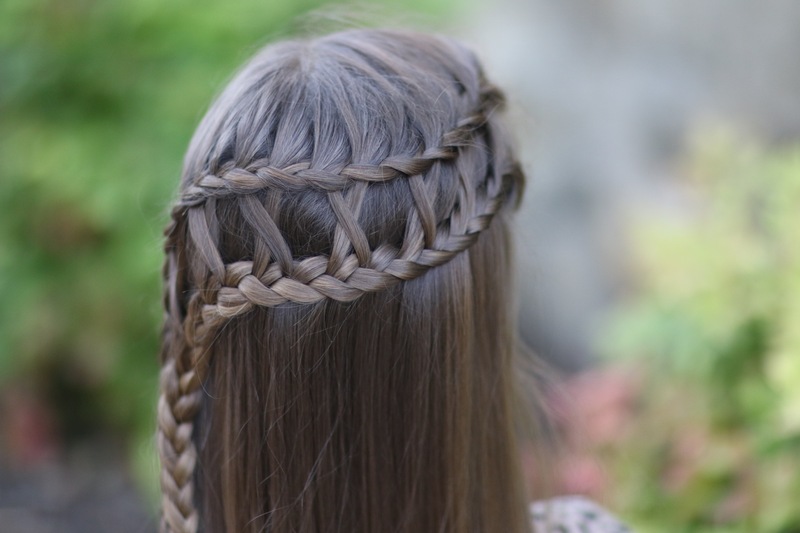 If you loved this Lattice Braid Combo hairstyle tutorial, please be sure to let us know in the comment section below! What other hairstyle types would you love to see here?